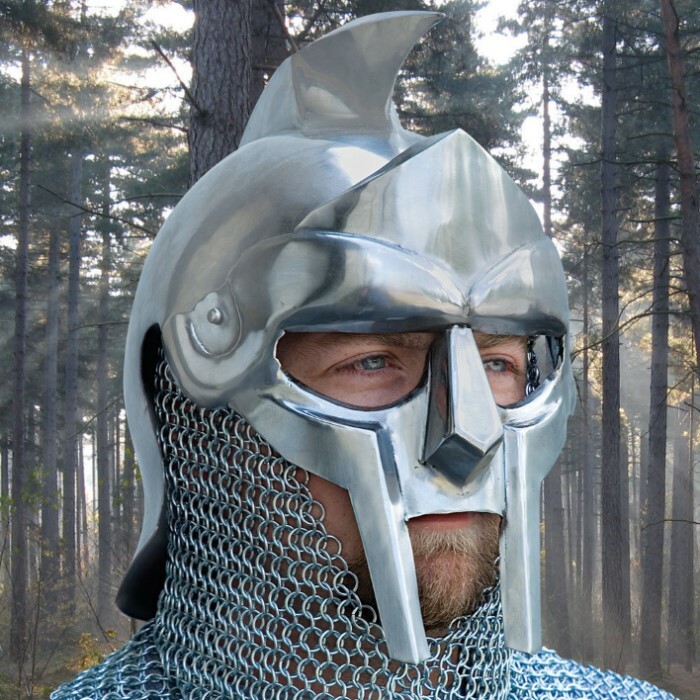 Roman Gladiator Maximus-Style Historic Reproduction Helmet | BUDK.com - Knives & Swords At The Lowest Prices! 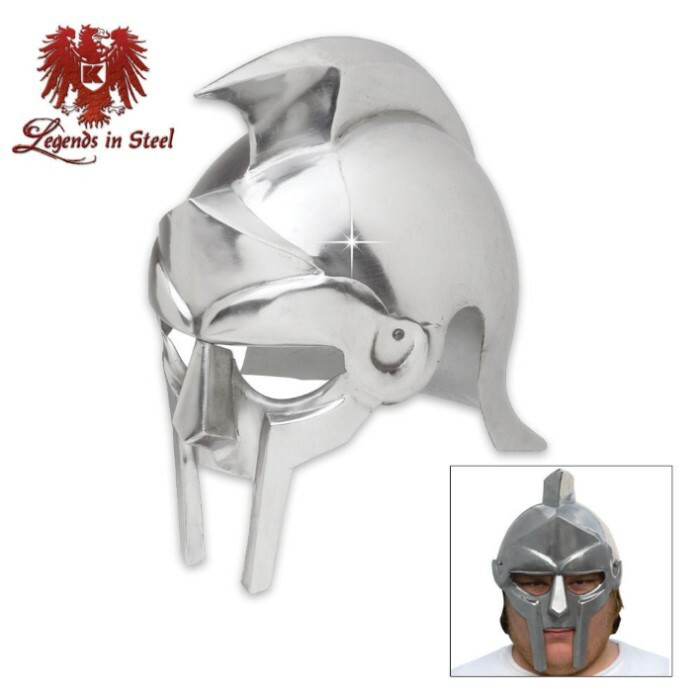 Our Roman Gladiator Helmet is an accurate, solid steel reproduction of the maximus-style helmet worn by ancient Roman gladiators. The menacing helmet was also featured recently in the epic blockbuster “Gladiator” directed by Ridley Scott. It boasts authentic details like a pinnacle crest, open ear holes and iconic “walrus tooth” mouth and chin guard. This replica is easy to wear, with a generous 6” deep head cavity, and it looks great for re-enactments, historical dramas or simply on display, solo or in a larger historical collection. Sized true to life, it measures 12 1/2” from the bottom of the “walrus tooth” mouth guard to the pinnacle crest, 9" from the back brim to the pinnacle crest and 6” from the open ear holes to the pinnacle crest. You can almost hear gleaming sabers clashing and the bloodthirsty amphitheater crowd roaring every time you don our replica Roman Gladiator Helmet!